QNAP is an 8% oil-borne copper naphthenate solution. It is an EPA-registered, non-restricted use/general use preservative also adopted as standard for use by the AWPA (P36). The product is created from recycled copper and by-products of oil refining – making it green from the start. QNAP has performance equal to all other oil-borne/oil type preservatives. Use of QNAP requires no special equipment. 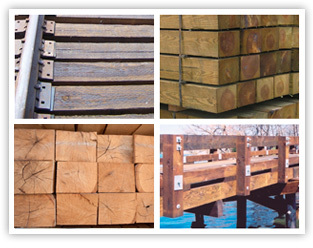 Wood treated with QNAP is non-hazardous waste, which allows for recycling or energy recovery.